I’m so excited about today’s project because I’ve been wanting to make a School Supply Cake for Connor’s teacher every since I first saw them on Pinterest. I gathered a few essential school supplies that I know his teacher will need over the weekend while shopping at Target. 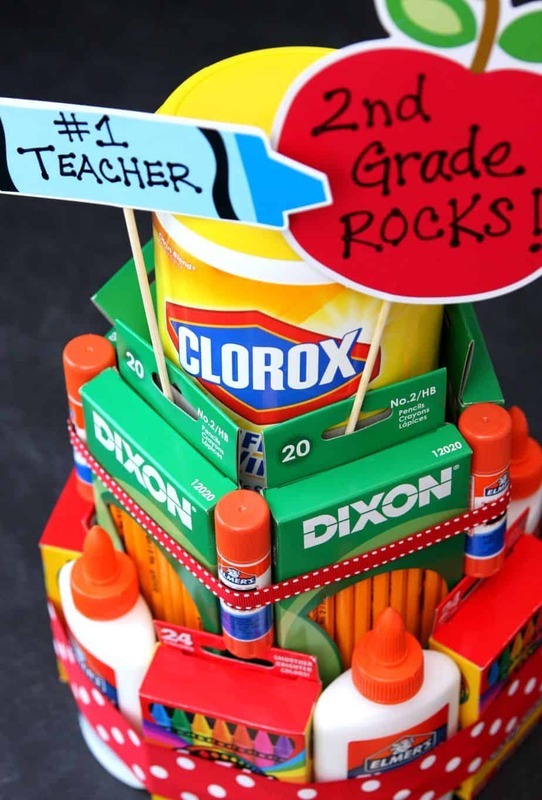 A teacher can always use pencils, crayons, glue and Clorox Disinfecting Wipes. 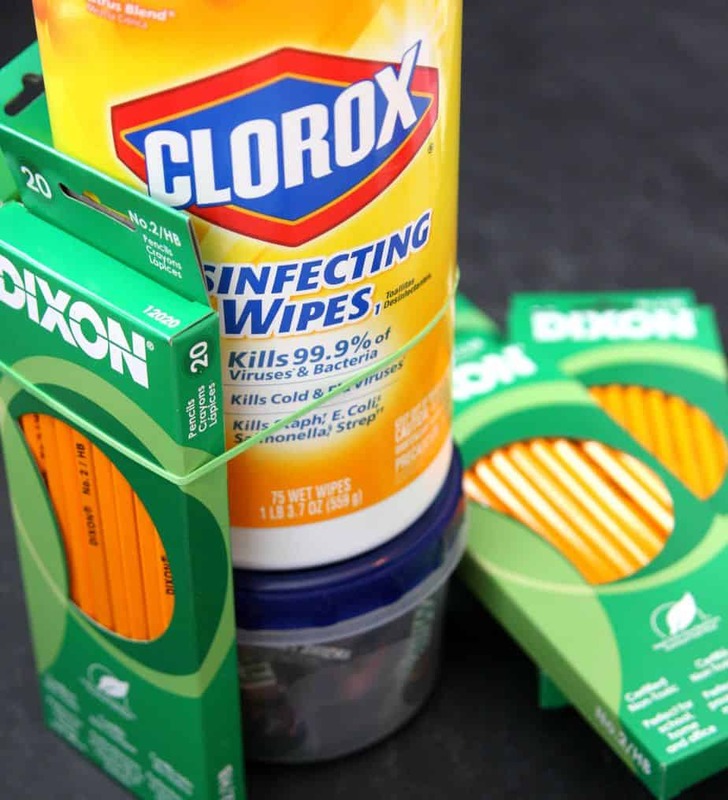 I can’t tell you how often I use Clorox wipes in my classroom to wipe off the the desks, tables, telephone, dry erase boards and so much more! Step 1 – Gather your supplies. Start by placing a rubber band around the Clorox wipes container. 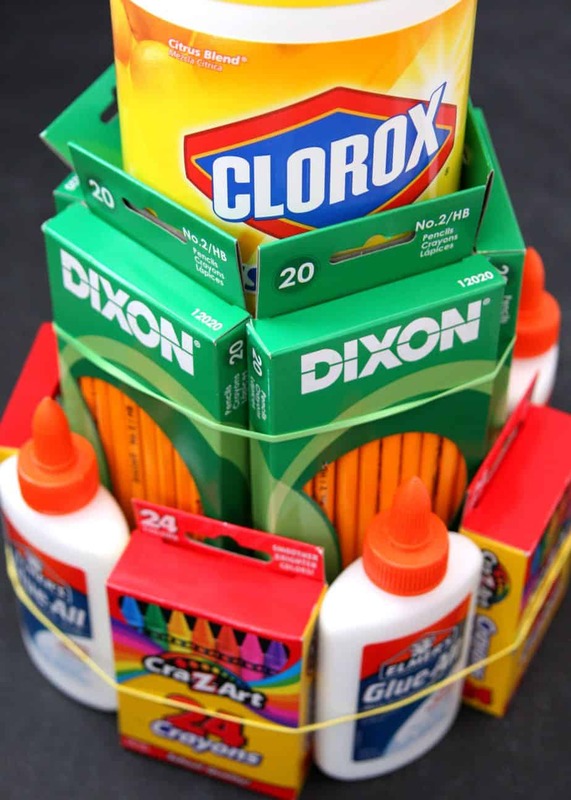 Carefully insert pencil packs around Clorox wipes. I decided that I wanted my wipes to be a little higher up so I filled a small container full of candy. What teacher doesn’t love chocolate?! Step 2 – Carefully add another rubber band to bottom of pencils and slowly insert pencils and glue. 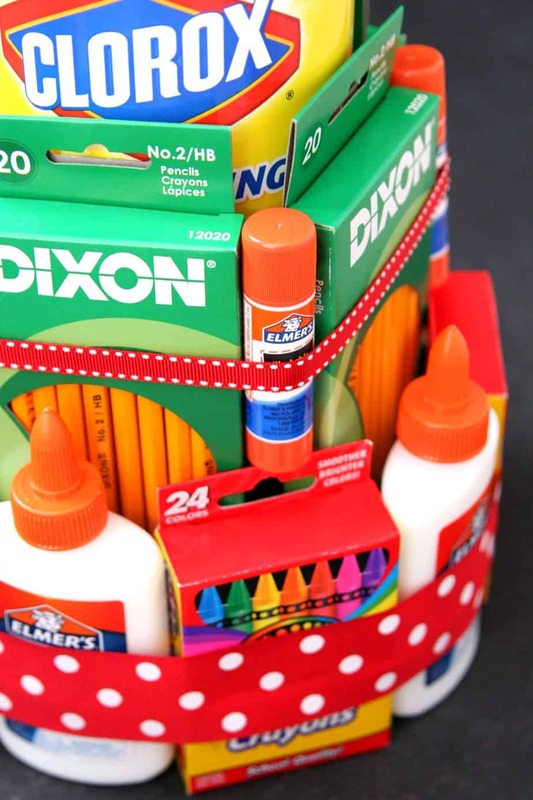 Step 3: Add glue sticks and wrap ribbon around the school supply cake to cover the rubber bands. 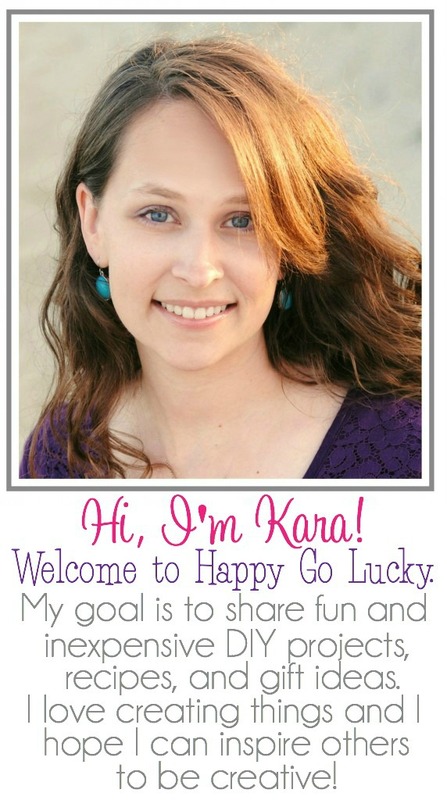 Step 4: You can totally stop at Step 3 and have a very nice teacher gift. But, I had a few pencil and apple die cuts in my school supply bin so I decided to add them to the School Supply Cake. I will probably add his teacher’s name once we get it in the mail but for now, I added these two. 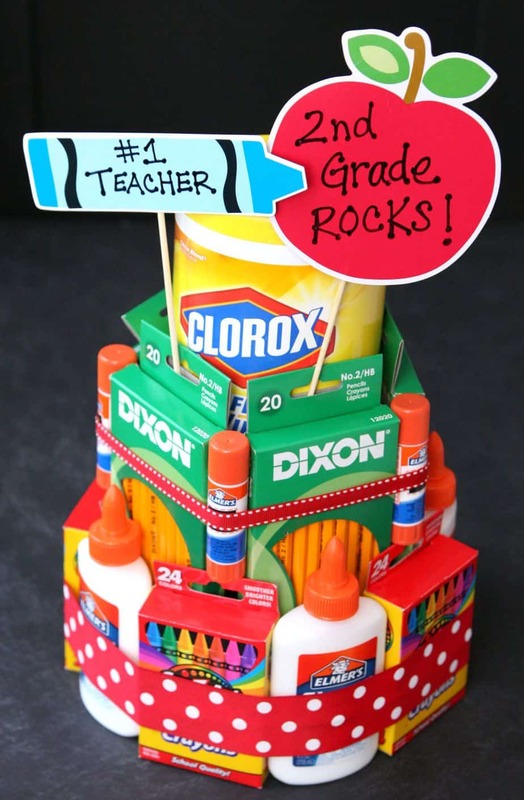 And remember – Clorox wipes are so great to have on hand and will make any teacher smile. Clorox Disinfecting Wipes clean, disinfect, and kill 99.9% of germs including viruses that cause colds and the flu. 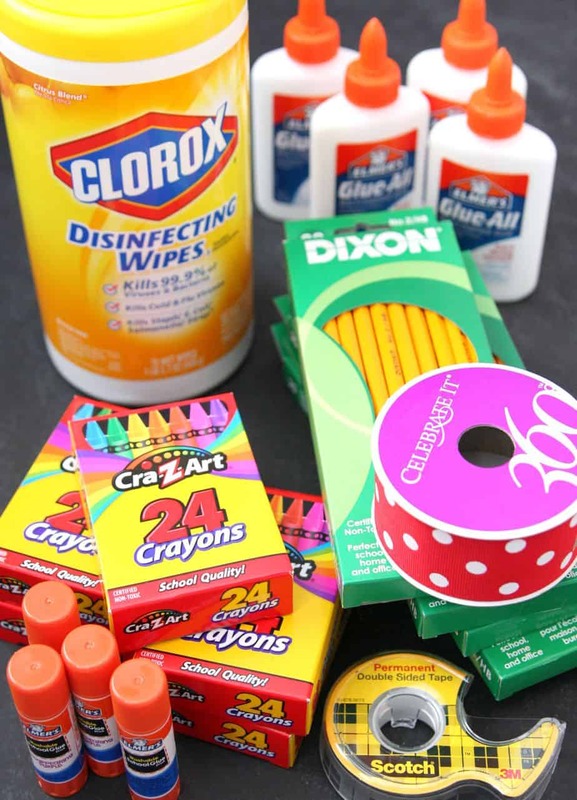 Not only are they great for cleaning your house but teachers can always use them to keep their classrooms clean and germ free. So, the next time you’re shopping at Target, pick up a pack of Clorox Disinfecting Wipes for yourself and your child’s teacher. 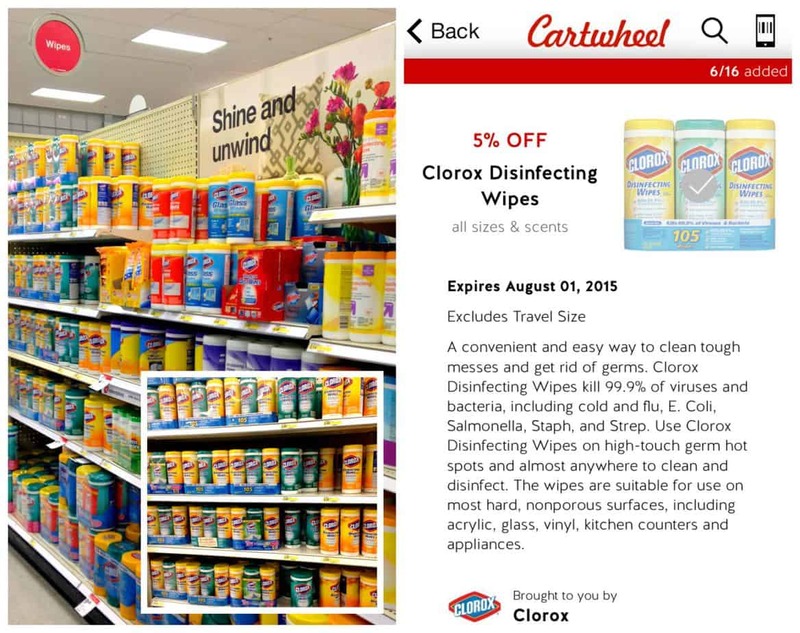 Don’t forget to use Target’s Cartwheel app to save an extra 5% on your purchase of Clorox wipes. Visit Clorox on Twitter, Facebook, Pinterest, YouTube, Instagram for more information on all their products. How have Clorox Disinfecting Wipes made your cleaning routine easier?